I expected a little bit of a hometown discount. 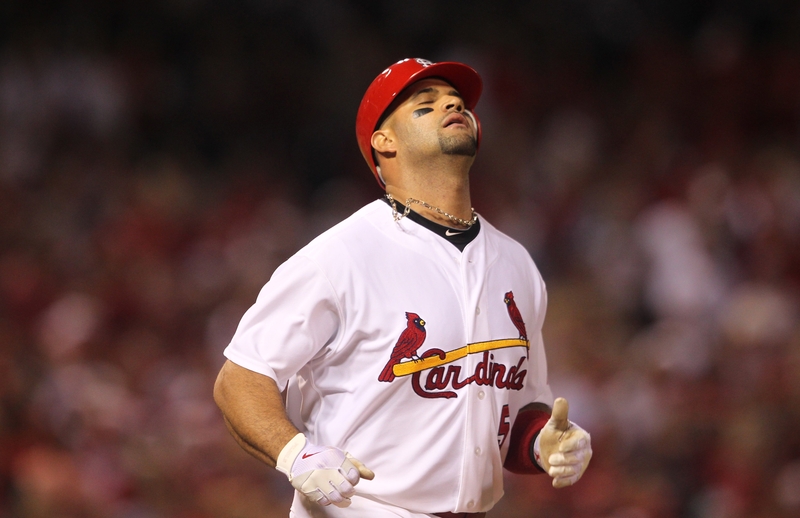 I always believed if the Miami Marlins were offering Albert Pujols $220 million, he’d come back to St. Louis even if it was for something a little less. However, I don’t blame Pujols for turning down all other offers to get at least $30 million more from the Los Angeles Angels. For that fact, over $50 more if you consider the Cardinals original proposal of $198 million back before Spring Training. In the long run, while I know it might hurt for some Cardinal fans, the risk of having Pujols on the payroll for that amount of money five years from now is too great. Pujols will be 32 in January and the only teams that could really get the biggest return on investment would be an American League team. I wouldn’t be surprised if by next season you start seeing Pujols DH a couple of games. A sure bet, by the time Pujols is 37 or 38, he won’t be playing the field. This signing by the Angels will allow the Cardinals to pursue Prince Fielder. At 27, the Cardinals could get 6-7 quality years at a cheaper price.